First of all we cute tricks wish u a very happy holi.. Let this festival bring good colour and flavour to ur life. Yes we are back with another freecharge loot..
3. Now in the Next Page click skip to coupons. 5. Now u will get a message as ” Congratulations! Promocode has been applied. 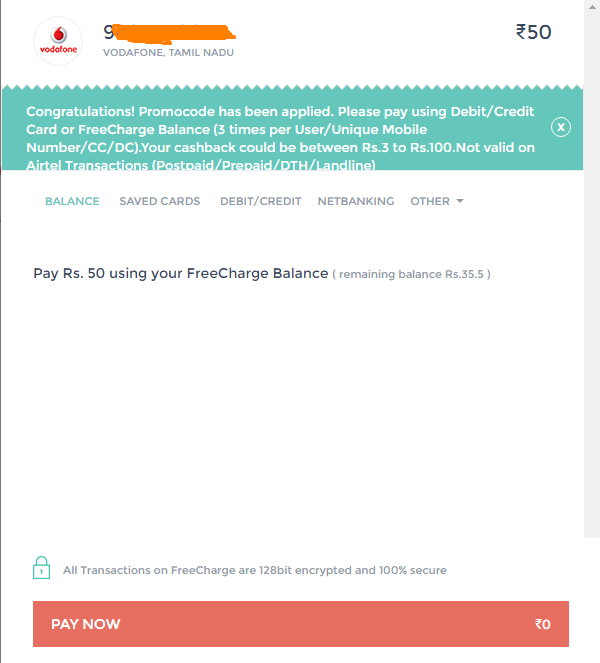 Please pay using Debit/Credit Card or FreeCharge Balance (3 times per User/Unique Mobile Number/CC/DC).Your cashback could be between Rs.3 to Rs.100.Not valid on Airtel Transactions (Postpaid/Prepaid/DTH/Landline) “. 6. Thats it.. U will get the cashback in ur account less than 24 hours( tentatively u will get instantly).